SalesTeamLive is results driven. 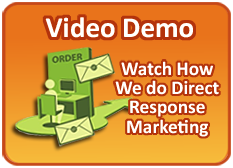 Any direct response marketing company can get the phone to ring. What sets us apart is we get the phone to ring with the kind of people you want to talk to. We offer the best direct mail solutions for the real estate investing industry. In these trying times, every dollar counts, that’s why we continue to impress our clients by delivering more than what they expected. No other company offers such a powerful solution for your real estate business like we do. We take pride in offering the best lead generation services and management systems in the real estate industry. We buy only the best lists to fuel your marketing campaign. We want to maximize your chances of success by only getting the best prospects possible in to your campaign, thereby lowering your marketing spend and increasing your closing ratio. We also do not take on too many members within one metro areas. It doesn’t make sense for us to saturate a market just to earn more money from our clients. Our integrity and customer success rate gives us the rare opportunity to enjoy healthy, long lasting customer contracts and an immense flow of customer referrals. If we start to have too many clients marketing in a particular part of the country, we will simply tell the new customers that our program is full and they will have to try back. We are constantly focused on your bottom line of each campaign. We provide you with our cutting edge tools like the Real Estate Console and Inbound Call Analysis to increase your profits. Our proven results speak for themselves. Several of our new clients come to us as referrals from other satisfied clients of SalesTeamLive.